Alfred Bundy presents the people, organizations, and events changing the lives of everyone in their World. 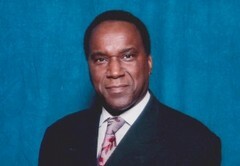 Host Alfred Bundy presents the second of a four part series on the Moneywise Conference. In this episode a panel discussion on "Growing A Business. Alfred Bundy Presents the Moneywise Series in part one of the series Moderator Kelvin Boston. The Candidates for Newark Mayor in conversation with host Alfred Bundy individually. Host Alfred Bundy talks to two ladies who are the best of friends, doctors helping Children. The Moneywise Conference Tour present this panel discussion on how you can effective grow your own business. Coverage of the Politics that govern the County of Essex, New Jersey. Host Alfred Bundy in conversation with Gail Chaneyfield-Jenkins, Candidate for Newark's Central Ward Council Seat.